Abylight first caught our attention not so long ago with their decent WiiWare title Fish 'Em All, and now they're back on the scene with their next title, Stop Stress: A Day of Fury. Very little is known about the game at the moment, but Abylight have shared a video of its premiere at the Tokyo Games Show. 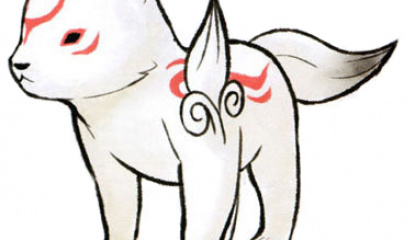 It seems to be a first-person..
Okamiden - the sequel to the criminally under-appreciated Okami - is shaping up to be one of our most eagerly-awaiting DS titles. We don't know why, but there's something about playing as an adorable four-legged animal that appeals to our softer side. Just when you thought things couldn't get any cuter, Capcom has released an all-new trailer at the TGS that will make your heart..
Capcom has already dropped the Frank-bomb on Tatsunoko vs. Capcom at this year's TGS but there's more fun to be had with two new announcements. 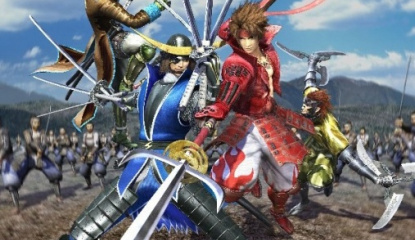 First up is the next instalment in the massively popular (at least in Japan, anyway) of the Sengoku Basara series (which has previously been known as Devil Kings here in the West). 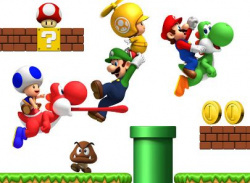 Sengoku Basara: Samurai Heroes is..
Nintendo has officially confirmed that New Super Mario Bros. Wii will be hitting store shelves in North America on the 15th November. The actual announcement comes as little surprise; a pre-Christmas release had been fully expected by many sectors of the industry and some had even ventured to guess that November would be the magic..
Looks like that leaked list of new Tatsunoko vs. Capcom characters is spot-on in at least one regard, as Capcom has revealed at the Tokyo Game Show that Frank West has been added to the Western and Japanese rerelease of the fighter. 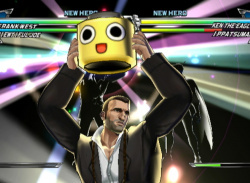 West made his first appearance in Capcom's Xbox 360 game Dead Rising, which later received a bland Wii port. His fighting moves seem to..